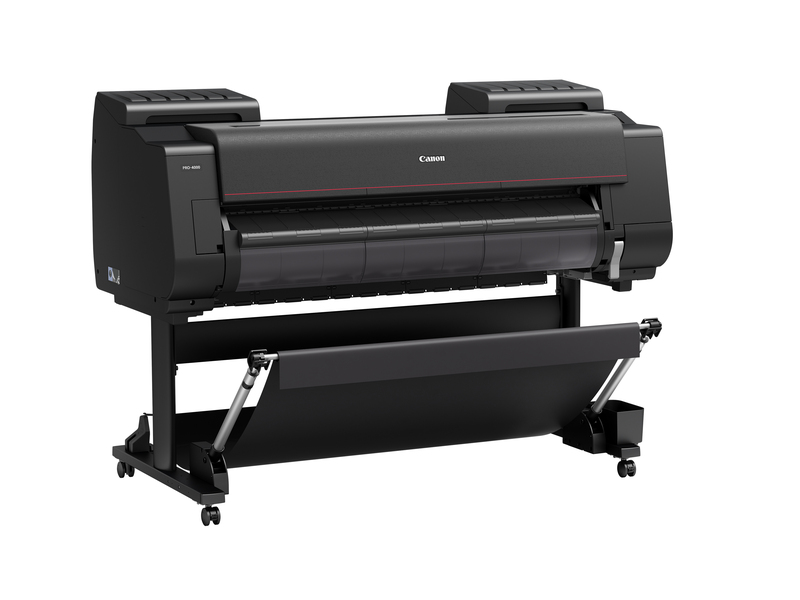 The Canon 44-inch imagePROGRAF PRO-4000 Printer is designed to exceed expectations for image quality and color consistency in a large format printer. The use of new a 1.28-inch wide 12-channel integrated compact print head, LUCIA PRO ink set plus Chroma Optimizer, a high-precision mechanical platform and the L-COA PRO high-speed image processing engine achieves a balance between exceptional print quality and speed. 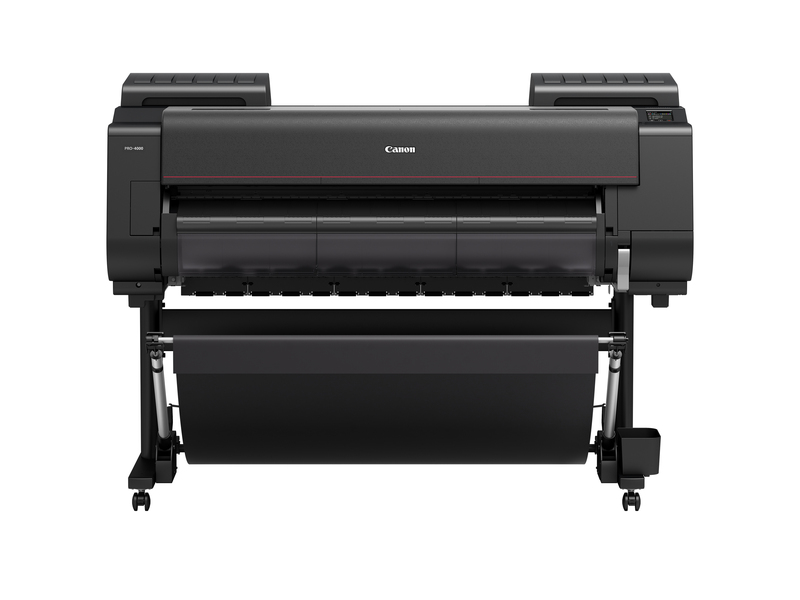 Multifunction Roll System (not included, sold separately or with the printer, item# 1127005) The optional Multifunction Roll System is a versatile media handling solution system that enables either a second roll of media to be loaded on the printer, or the unit can be configured as a bi-directional media Take-up unit.